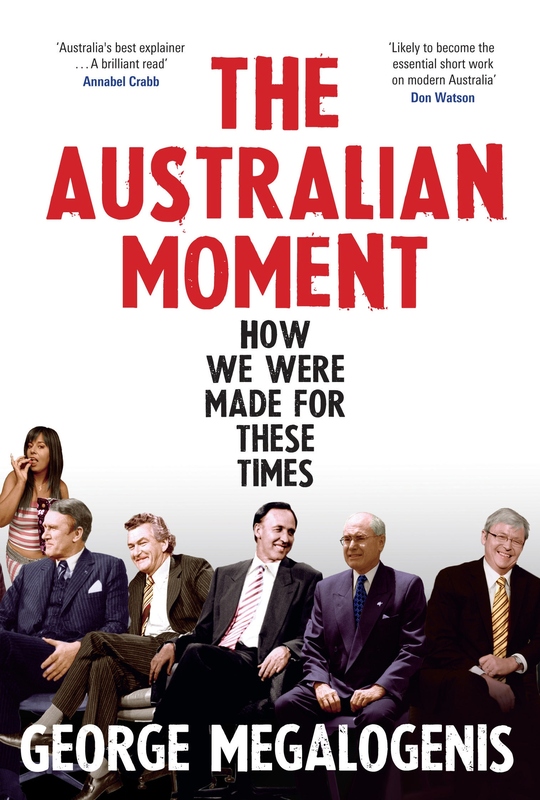 Those interested in how the economy has reflected and shaped the Australian psyche should check out George Megalogenis’s latest, The Australian Moment: How We Were Made for these Times. Megalogenis is one of my favoured political journalists, sober and articulate, with an eye to historical context, and always a pet theory to test. The ‘Australian moment’ he describes is our Great Escape with the GFC – the resultant climax of our economic development from Whitlam’s tariff cuts, the immigration of Fraser, major reforms of Hawke & Keating, Howard’s consolidation, Costello’s creation of APRA, then the super-charged immigration since 2001. It’s a fascinating economic biography of Australia, championing our learned fiscal approach over a more expansive view than his previous, more concentrated look at the Keating/Howard era, The Longest Decade. He notes various faults along the way, including the wasteful handouts of the Howard era, and the learning from the 70’s stagflation (when, unusually, both inflation and unemployment rose together). Quite interesting is his observation on the subtitles of the role of Gen W (women & wogs) in the increasingly deregulated economy: “The 1990’s recession had been feminist without meaning to be“, and their ongoing contribution to political and social change: “Better educated and more globally aware than any grouping before it in Australian history, Gen W is the flipside of the tetchy, entitled baby-boomer males of the stagflation decade”. Looking through the economic lens is an interesting and revealing way to understand a society. One might ask, for instance, do people respond to issues such as multiculturalism differently in prosperity, to during recession? “We still have a self-sabotaching streak. Apathy and parochialism ensure that the national focus never strays beyond the bitumen tomb of suburbia”. “The rough rule of thumb for the Australian character is that we are greedy in good times and inspired in bad. As The Economist once put it ‘Australia is one of the best managers of adversity the world has seen – and the worse manager of prosperity'”.